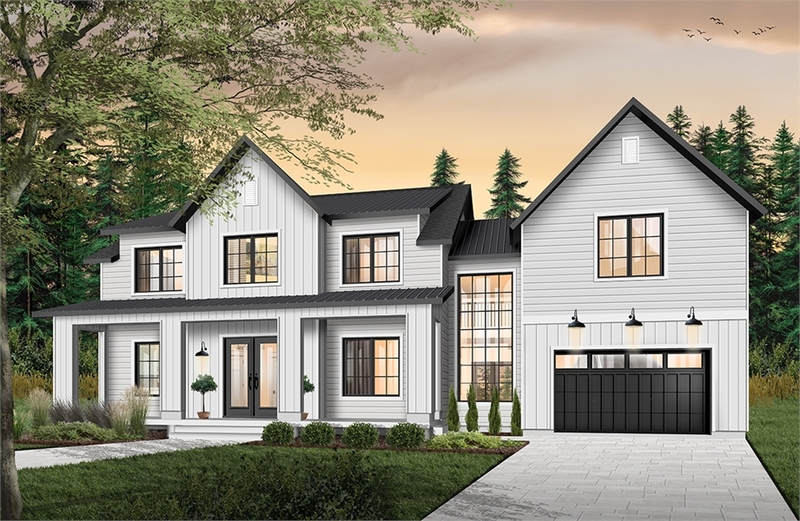 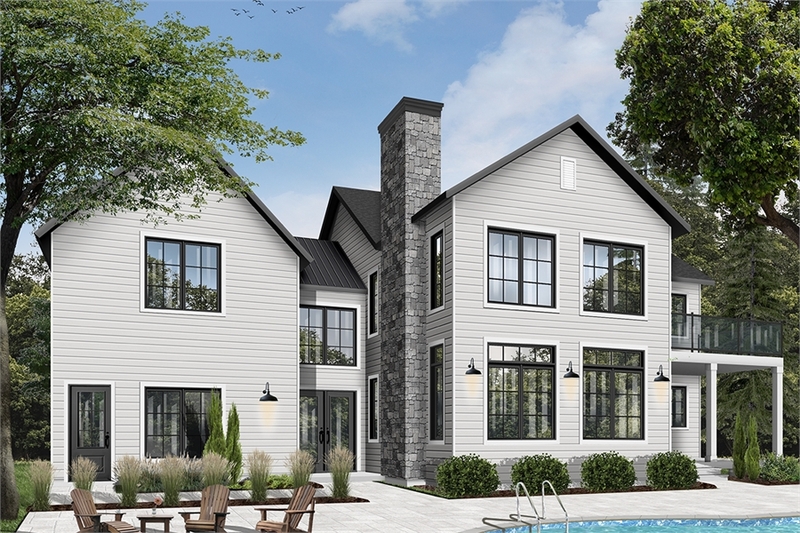 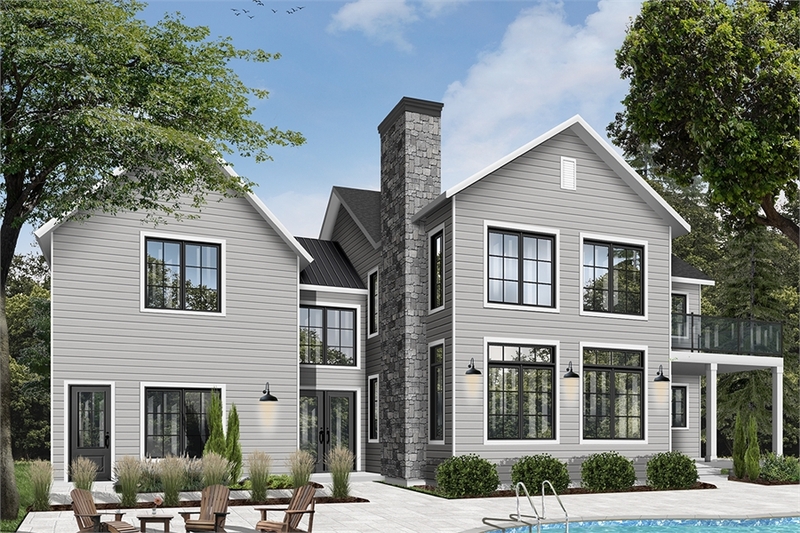 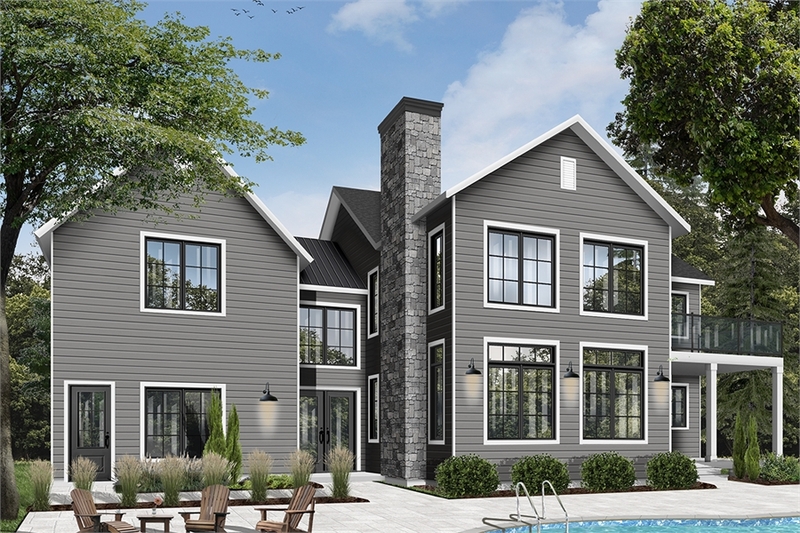 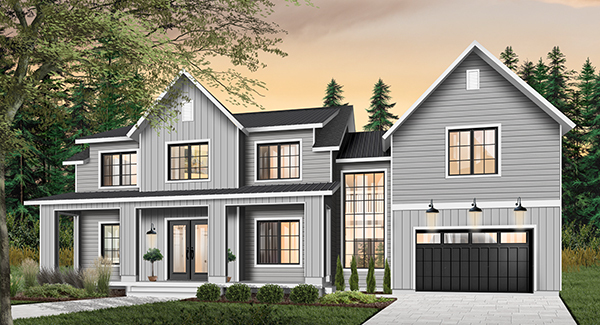 PLAN DESCRIPTION This beautiful modern farmhouse design features 3 bedrooms with the master suite on the second floor and lots of modern features including an L-shaped corner kitchen with island seating and large walk-in pantry. 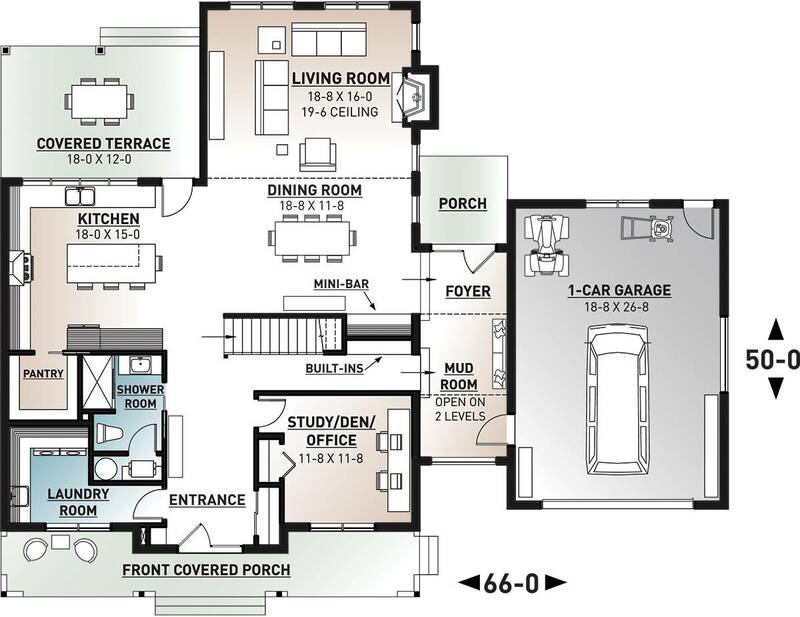 An open living room with lots of windows and fireplace features access to a large covered terrace. 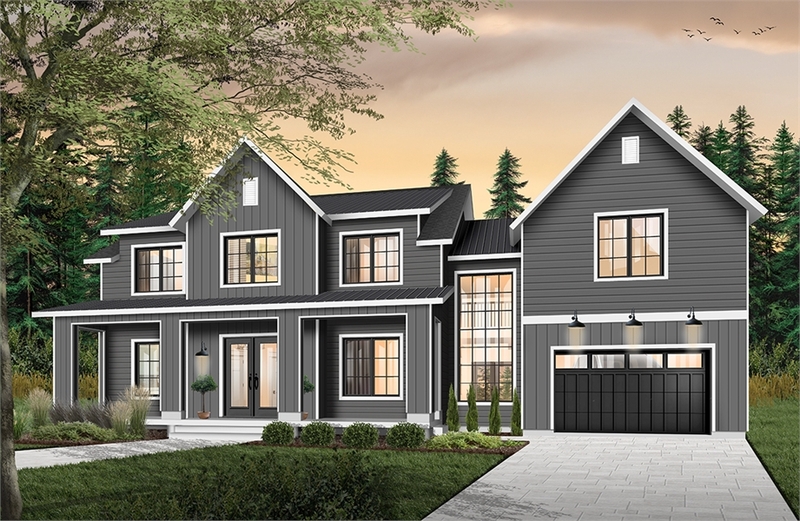 The dining room offers a butler's bar perfect for entertaining. 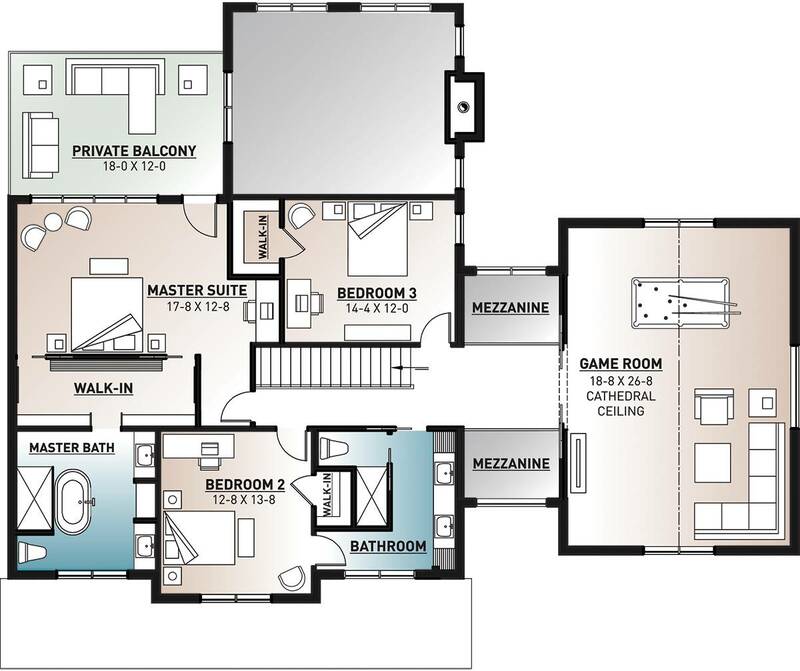 The two mezzanine's upstairs separate 3 bedrooms and bath from the game room.